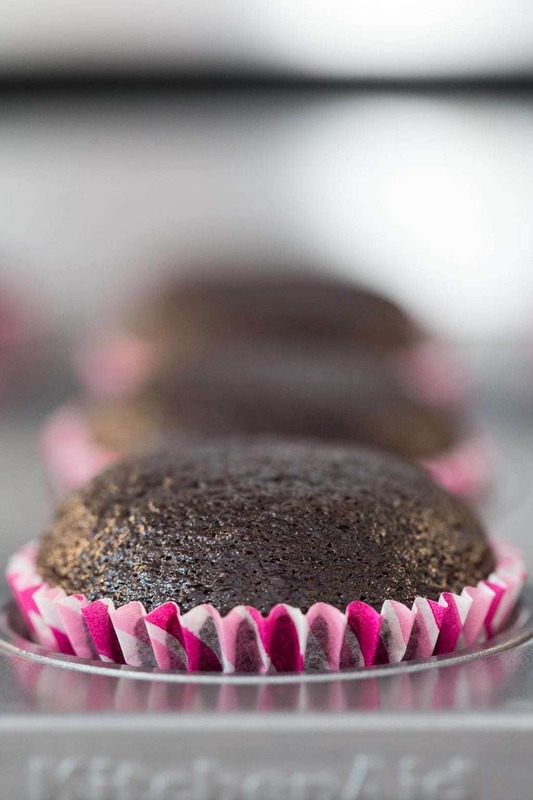 Mix up these One-Bowl Easy Chocolate Cupcakes in minutes. They’re moist, delicious and come out of the oven with beautiful domed tops! Do you ever feel like a “doubting Thomas”? I sure did when I read the recipe for these One-Bowl Easy Chocolate Cupcakes! Everyone knows that, to make a really good cake (or cupcake), you need butter, right? “No substitutions”, they say. And then there’s the directions. Classic cake instructions call for whipping butter till it’s light and fluffy, followed by the addition of sugar and then more mixing. After that, the dry and wet ingredients are added, often alternating back and forth till everything is well incorporated. 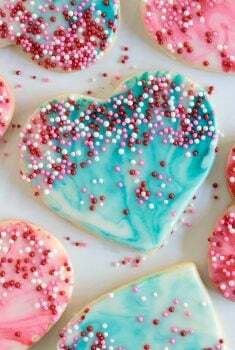 If you bake, you know that’s just how it’s done. That’s why I was a bit doubtful when I googled “chocolate cupcakes” and saw a recipe title Best Chocolate Cupcakes with no butter in the ingredient list. And the method was also quite “non-traditional”. “Hmm, I’m not so sure about this one”, I thought to myself. But I’d been looking for a really wonderful chocolate cupcake recipe for a while, and none that I’d tried had so far none had hit the mark. I wanted a moist, but light cupcake with a tender crumb and nice high dome. Oh yes, and it had to come together quickly. I was about to click back to my search results when something caught my eye… 444 comments. I scrolled down and started reading – mostly rave reviews. After reading a bunch of the comments, I was super intrigued. 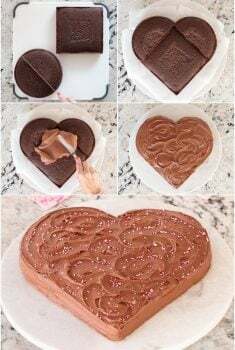 “Best recipe ever.”, “Great flavor and so moist“, “Made them for a birthday party and got millions of compliments.“, “Delicious and couldn’t be simple.”, “This recipe is amazing!“, “I love this cake, so moist, light and easy to make“, “My mum is the cake maker in our family, and after I made these for my son’s birthday, she said they were better than hers. Cheers!” And on and on the wonderful reviews went! How could I resist? 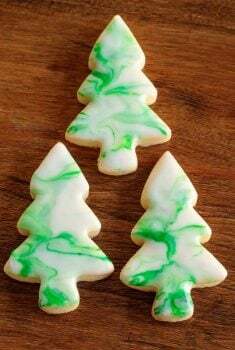 I gave them a try, actually I’ve made them 4 times now, and every time they’ve turned out perfect. I adapted the recipe just a bit, using a half cup of coffee instead of the espresso powder (I don’t keep that on hand) and boiling water. I learned a few things along the way too. 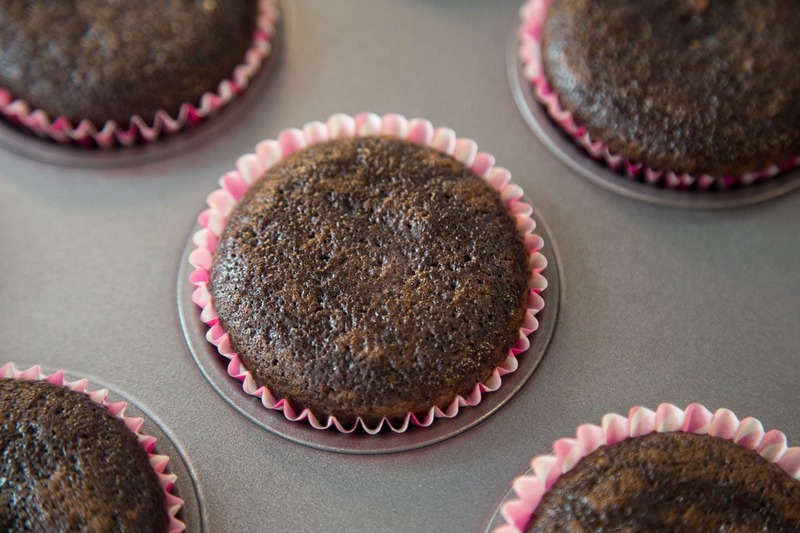 For example, after the first attempt, I realized that the batter rises up higher than other cupcake recipes, and, for best results, to fill the cupcakes liners just half full. If filled too much, the batter creeps up over the top of the paper liners. One critique I noticed repeated frequently in the comments was that the baking time was not accurate. I tested the recipe and found that 20-25 minutes in my oven was perfect. I’m back! Oh my gosh! I wish I could share a bite with you! They’re fantastic! Super moist, not too heavy, loaded with great chocolate flavor. My quest for the best, easy chocolate cupcake recipe has ended! Hershey’s cocoa works fine in this recipe, but if you want to try a really fine cocoa powder, this Callebaut cocoa powder is quite amazing! Don’t worry, if you don’t like coffee, you don’t taste it in these cupcakes. Coffee enhances the flavor of the chocolate. 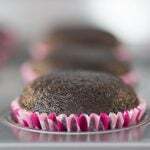 You could use decaf coffee but, if you divide it up, there’s so little caffeine from the coffee (about 4mg) in each cupcake, it’s pretty negligible. This batter rises significantly and produces lovely domed cupcakes. Just don’t fill the cups too high or the batter will overflow the cups. 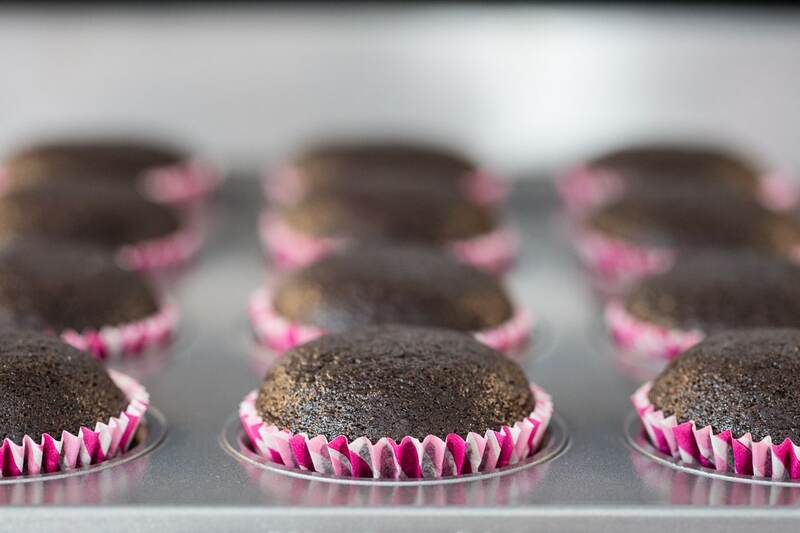 This recipe will make 15 nice size cupcakes so you’ll need two 12-cup cupcake pans (one will only have three cups filled). You could also put the extra batter in a small loaf pan instead of using the second cupcake pan. The name says it all! Throw these delicious, super moist, beautifully domed Easy Chocolate Cupcakes together in minutes! Preheat oven to 350˚F. 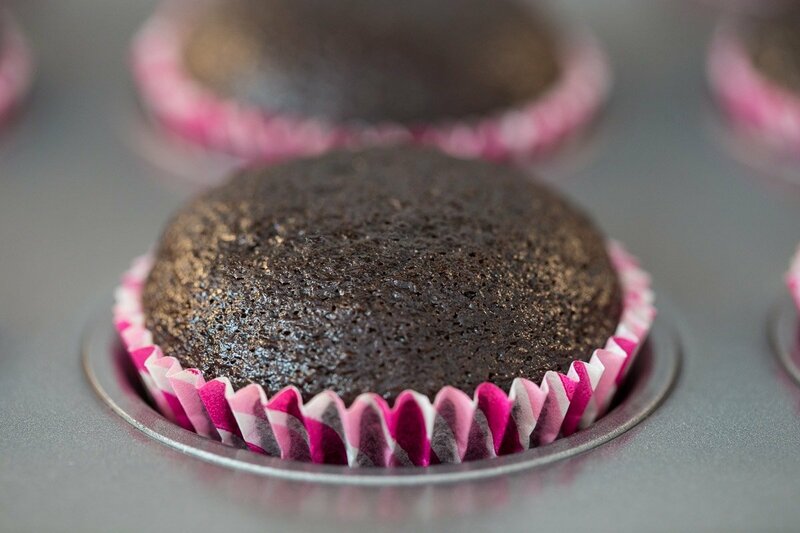 Line a 12-cup cupcake pan with cupcake liners. Line another cupcake pan with three cupcake liners for a total of 15. Set aside. 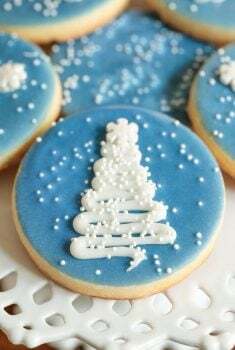 Combine dry ingredients (flour, cocoa, sugar, baking powder, baking soda and salt) in a medium-size bowl and whisk to combine. Make a well in the center of the dry ingredients and add milk, oil, egg, vanilla and coffee. Stir with a whisk until all ingredients are combined then continue to whisk until batter is smooth. Scrape the sides of the bowl and mix for another 10-15 seconds. The batter will be thinner than most cake batters, don’t worry, it’s just the way it should be! Place in the oven and reduce the temperature to 325˚F. Bake 18-24 minutes or until a toothpick inserted in the center comes out clean. Remove from the oven and allow the cupcakes to cool completely. Decorate as desired.